With the advent of artificial intelligence, the world of robotics has been invigorated with many new possibilities. AI consulting services have helped to integrate a plethora of unique and life-like features in the robots. Today, they can be manipulated to pick, perceive, move, and destroy various objects. AI robots are formed with enhanced and upgraded computer programs to target a particular task. 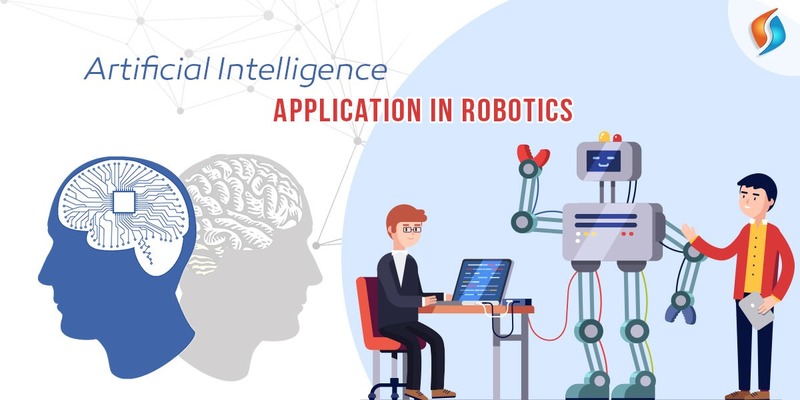 The application of AI in the world of robotics is creating a significant impact, both in the present situations as well as future development phases. AI has assisted robots in getting an advanced vision that can help them detect, recognize, and distinguish objects accurately. While some may argue that robots already had a robot vision, it was neither automated nor as progressive. AI developer has linked its pioneering technology with the robot vision. This helps them to avail enhanced and real-time identification and sorting of various things and objects. However, the addition of numerous extrasensory technologies, including ultrasound, radar, lidar, and more is taking robotics to a whole new level. The simple task of understanding an object has been taken to some impressively advanced heights. In the past, robots were grasping objects blindly. But today, they are using their extrasensory vision to see and understand the objects. With specialized help from AI consulting services, robots can determine various positions and orientations to grasp the objects as fast as possible. This has also developed and boosted the application of robotics in the industrial world. Thus, AI robots are slowly being used to handle, move, cut, or weld raw materials. The integration of artificial intelligence in the technologically advanced robots has opened a new avenue of understanding and analyzing data. Be it physical data or logistical data pattern, the robots are understanding, analyzing, and acting accordingly to improve efficacy. 1. AI consulting services have succeeded in building robots. They are being used in the industrial sector to handle the preparation of raw materials. They are also being used to control, cut, weld, color, drill, polish, and more such activities. With the addition of artificial intelligence, the execution is more precise, accurate, and enhanced than it was ever before. 2. The medical community has seen some pioneering new technology with the assistance of AI chatbots. New and improved machinery with the advantages of both artificial intelligence and robotics are being made. This helps to carry out clinical tests and much more. 3. Al robots are the reason behind all our contemporary achievements in the department of space exploration and any future developments that are under pursue. Al robots are also being sent to the different parts of the universe, different corners of space that men can never reach. 4. Exploration campaigns in different parts of the world, rock climbing, visiting and determining the situation in the core of the earth. Such endeavors have seen trail-blazing results with the application of AI services. Robotics and artificial intelligence have not only impacted the AI development companies, but has also transformed various other industries in some way or another. The ground-breaking work continues and the possibilities are endless.